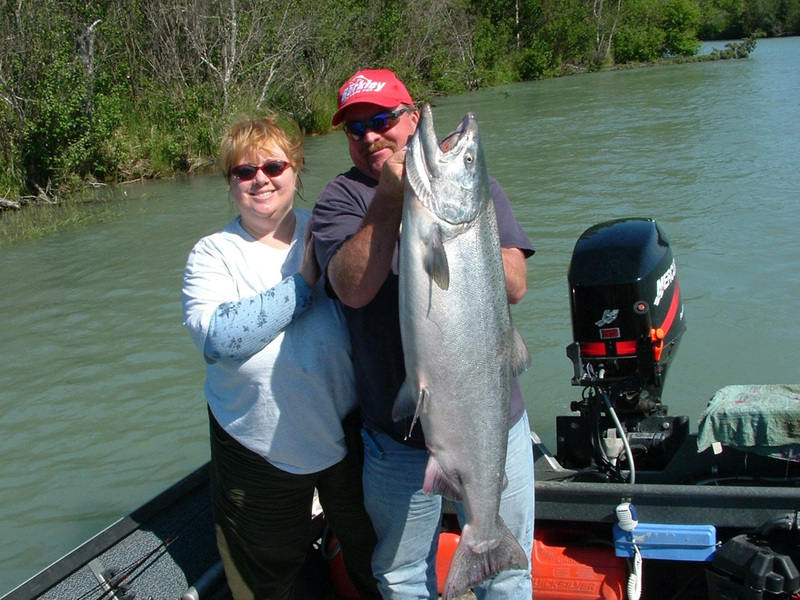 Alaska’s best salmon fishing is found right here on the Kenai River near Soldotna and the best Kenai River king salmon fishing guides operate our boats every day. 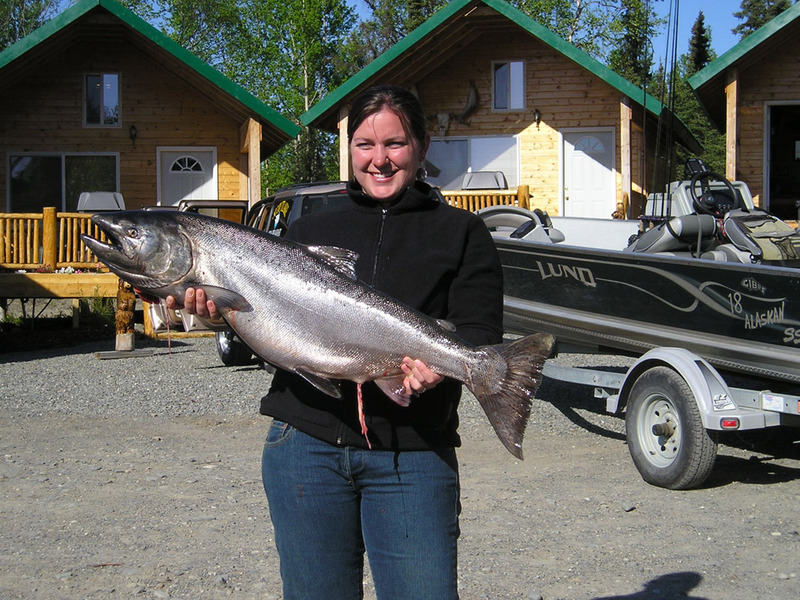 What many writers have proclaimed as being “The Best Fishing in Alaska” can be enjoyed without the high costs of flying out to some remote location deep in the wilderness of the Last Frontier. 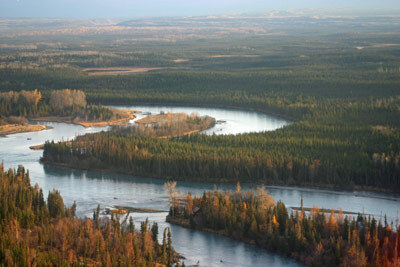 The Kenai River flows out of Kenai Lake and through the town of Cooper Landing. 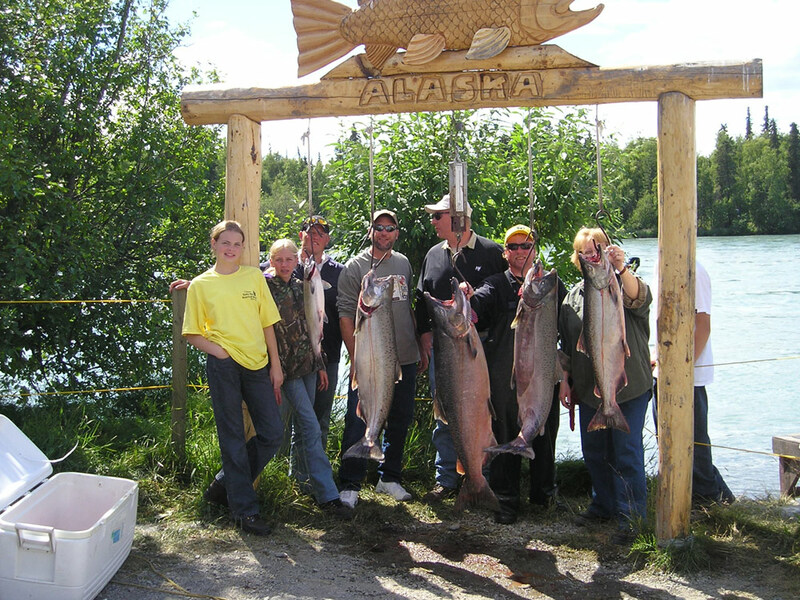 It then drops into Skilak Lake and flows out of there through the towns of Sterling and Soldotna, finally ending up in the City of Kenai where it flows into Cook Inlet. Close your eyes. 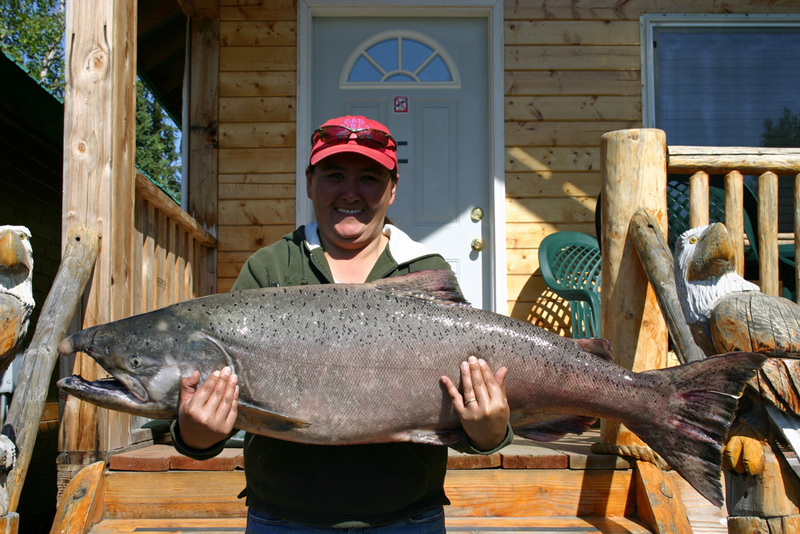 Now picture a colossal King salmon, taller than many an angler, and heavier than all of our egos. 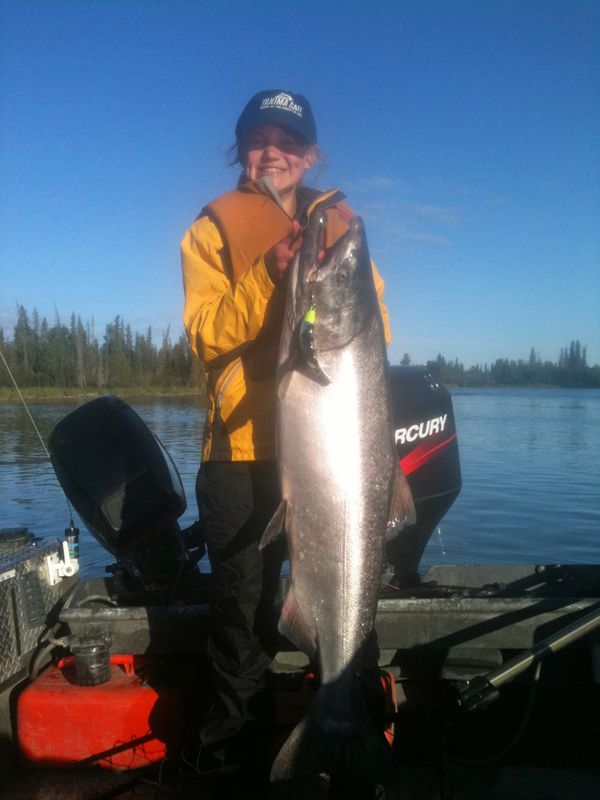 Now imagine that this monster is on the other end of your line. 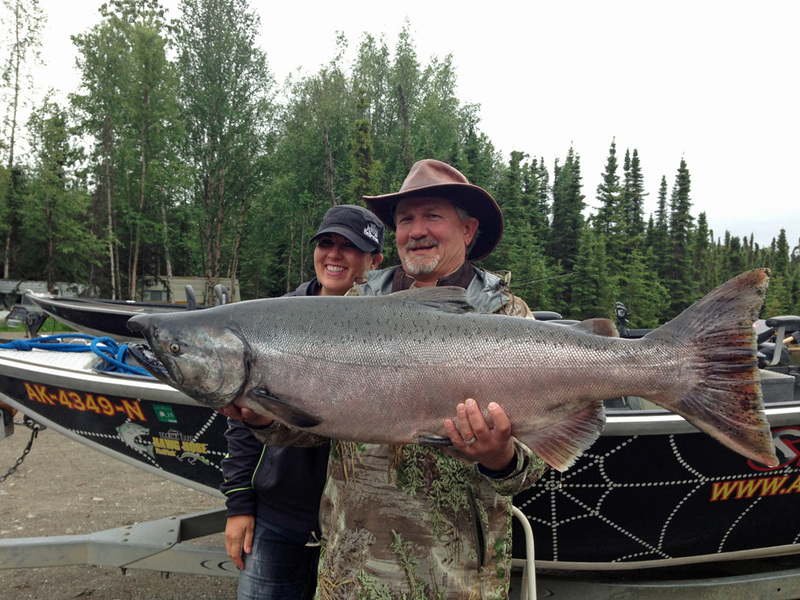 This doesn’t sound so far fetched to those of us familiar with fishing on the Kenai River. 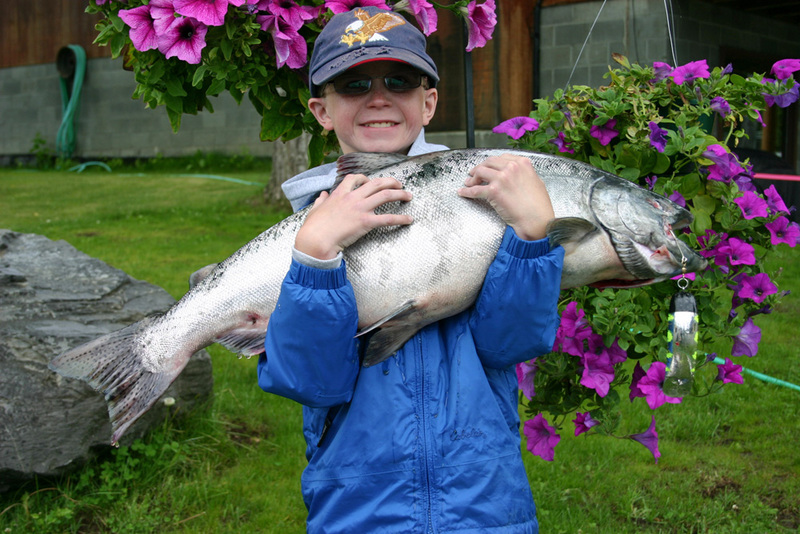 Every year we see the eyes of or clients nearly exploding out of their heads. “Holly Crap! 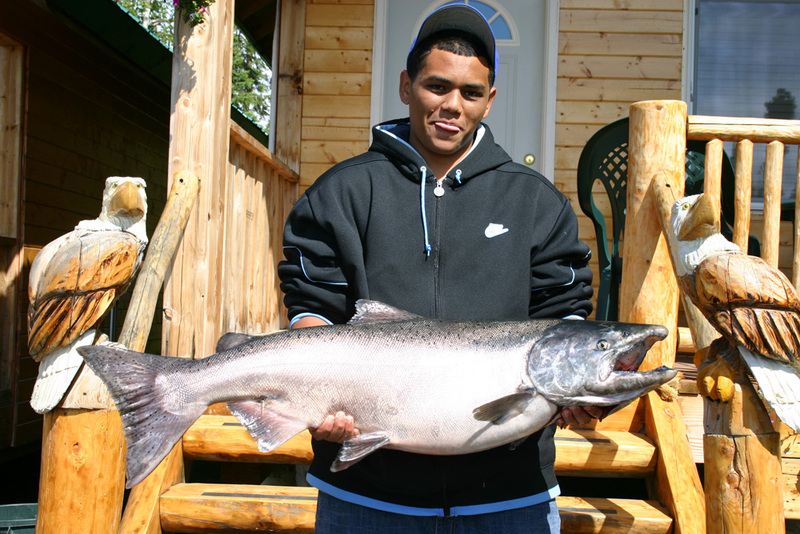 Look at that monster,” is a pretty common response our Kenai River King Salmon Fishing Guides hear. 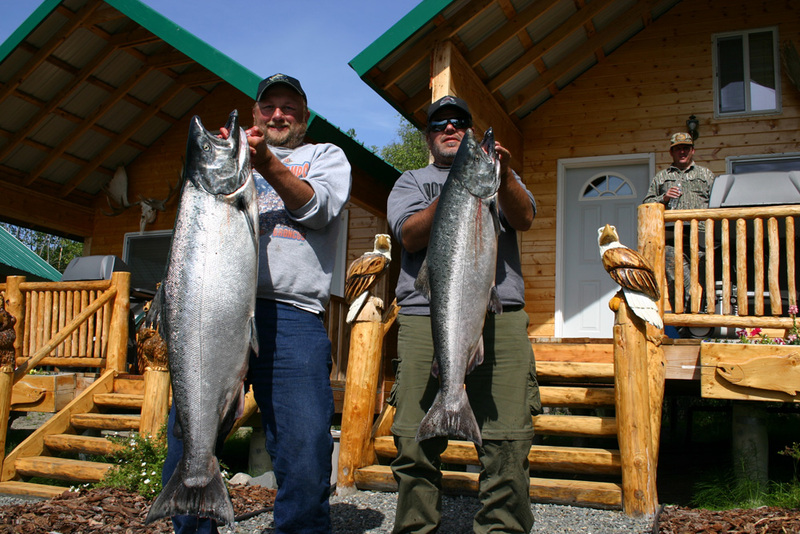 Those are the sounds of exhilaration as the dreams of anglers from every walk of life are more than realized in the days spent salmon fishing on the Kenai River. 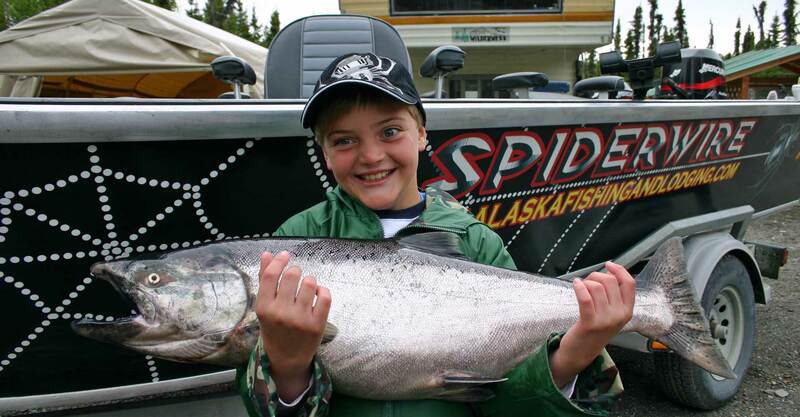 While 97 pounds 4 ounces is the current leader in the pursuit of the largest salmon caught on rod and real, we know in our hearts that this record will not be standing forever. 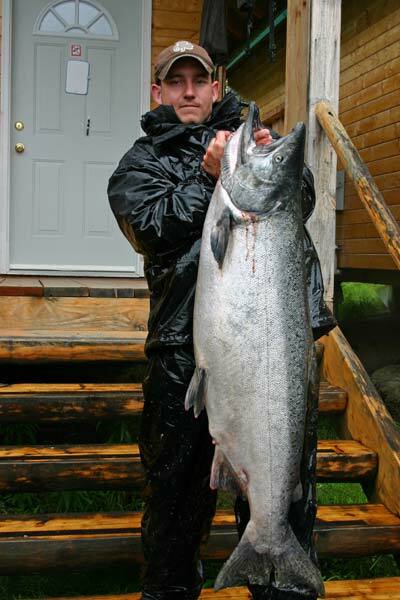 We have good reason to believe this as the records from commercial catches show that exceeding this size is possible. 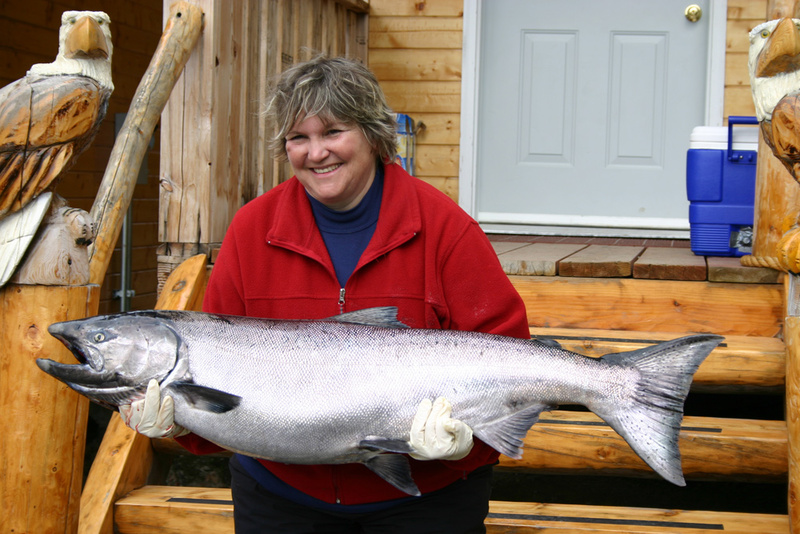 The largest King Salmon ever taken from Alaskan waters weighed in at a whopping 126 pounds. 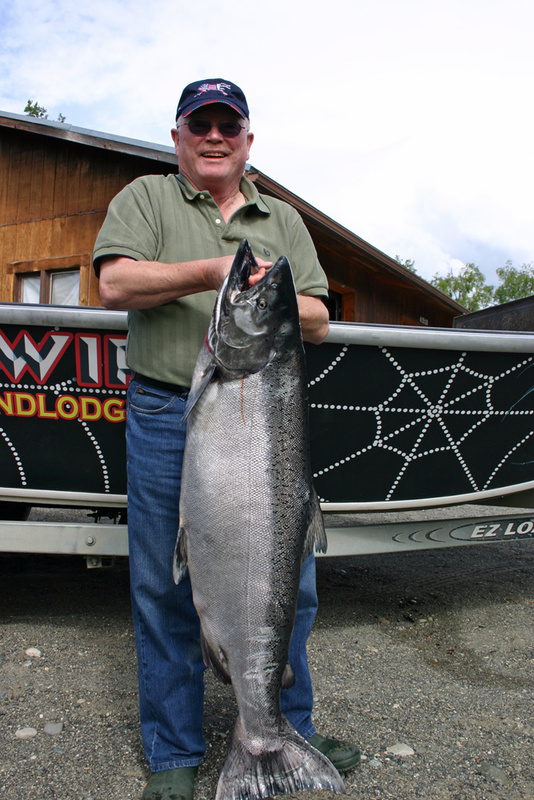 While this huge fish was the product of a primitive fish-wheel, it proves that there is some major wiggle room in the largest sport caught salmon yet to be had. 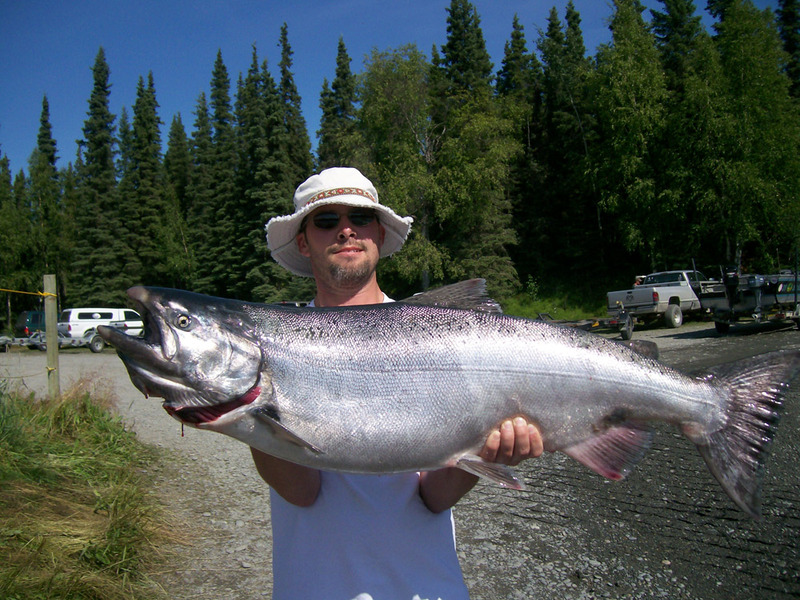 Remember, the largest sport-caught king salmon was 97 pounds 4 ounces and was caught back in 1985 on the Kenai River. 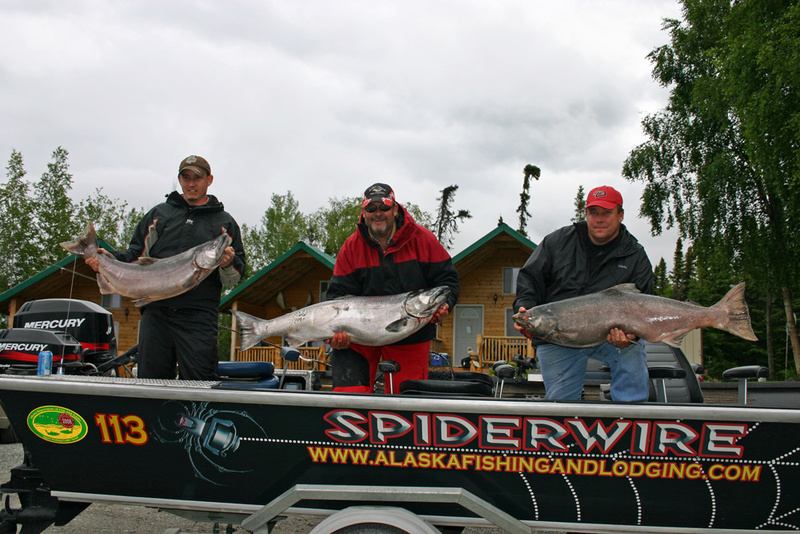 As for us, we know that the best fishing days in Alaska are still in front of us. 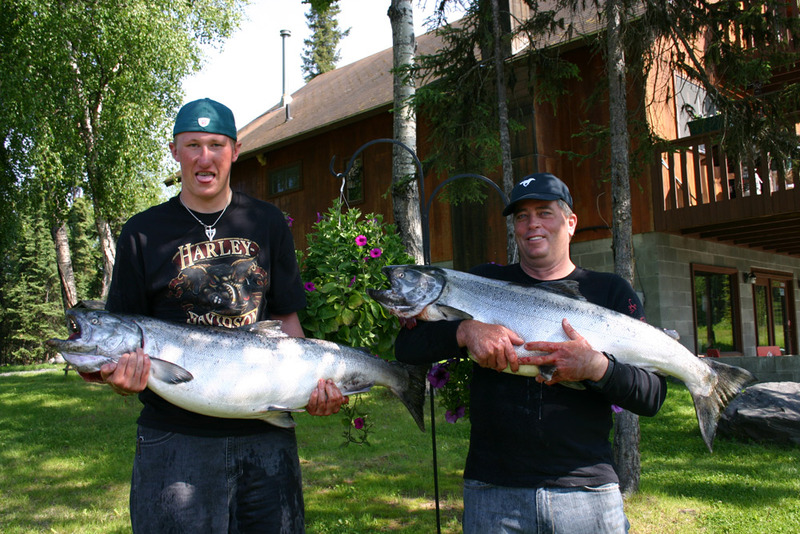 Join us this year for some of the best Alaska salmon fishing the state has to offer. 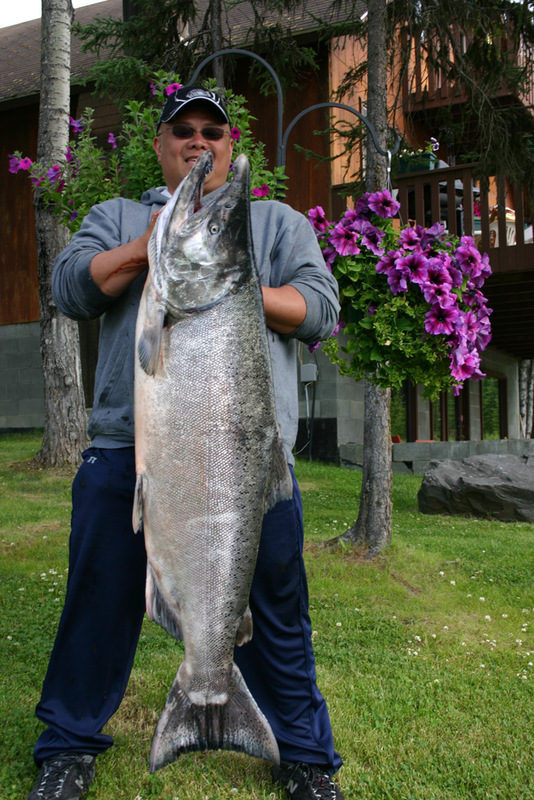 We hope that our enthusiasm doesn’t make us sound too vain, but we really are proud of how big our kings are on the Kenai River. 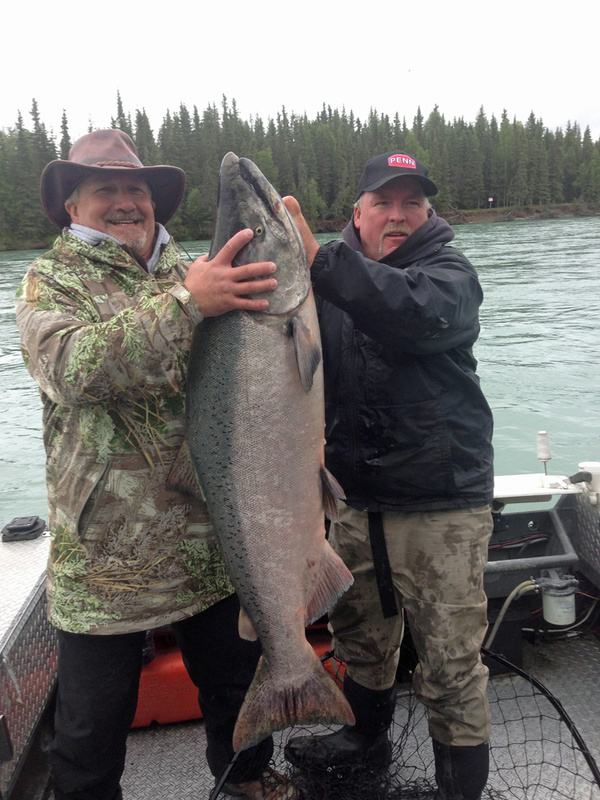 We have been fishing for king salmon on the Kenai River as long as any other guides on the river. 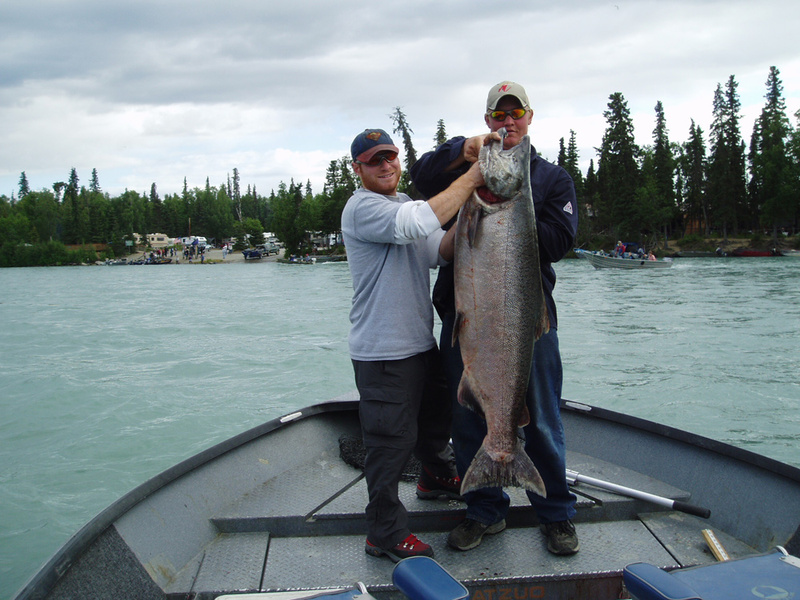 We began guiding on the Kenai long before it was popular our guides offer our guests the success that can only come from years of spending every day of the summer on a single body of water. 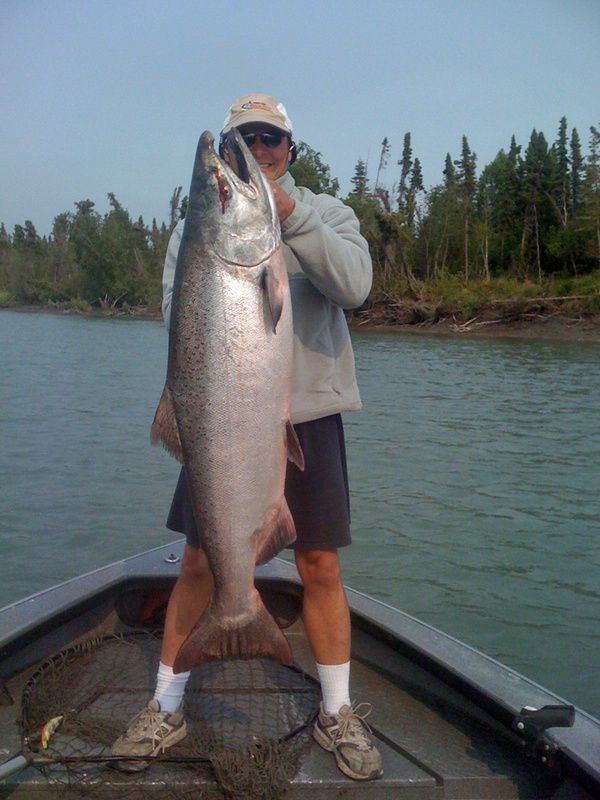 We hope you will consider us when you want to book your next Kenai king salmon charter. 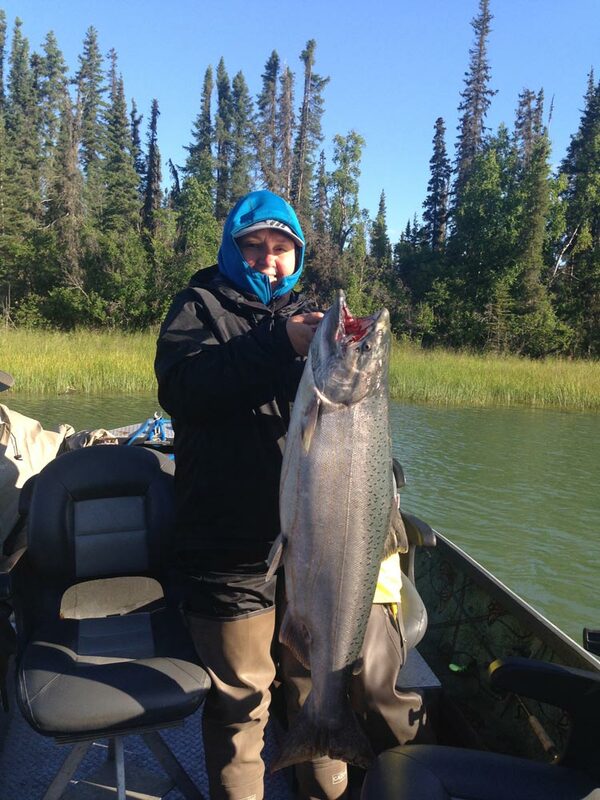 First Run King Salmon on the Kenai River! 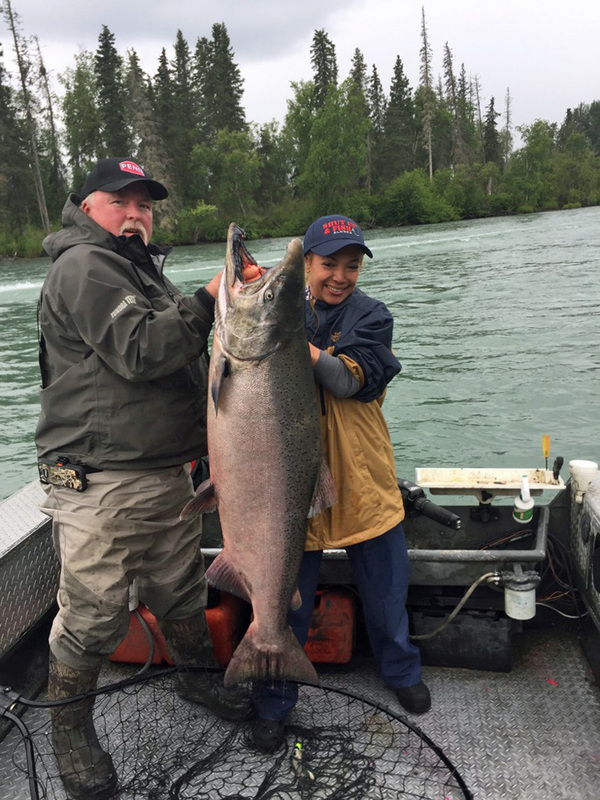 Fishing for King salmon on the Kenai River begins in mid-May as the first run of these giants begins entering the river. 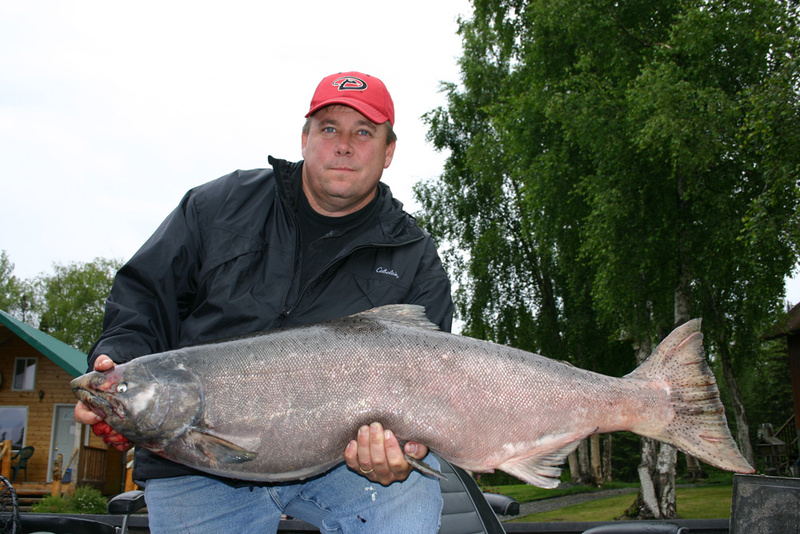 From this point the fishing builds as kings between 35 and 50 pounds are entering the river in groups. 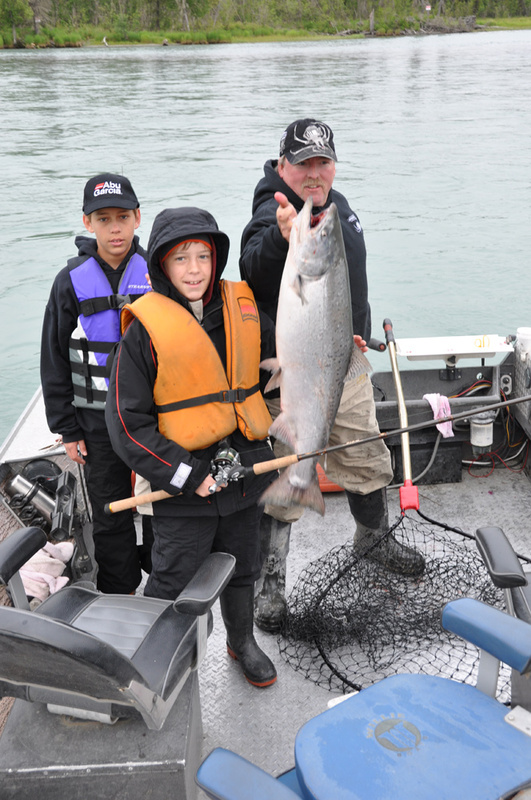 Mixed in these groupings are some schools of wild king salmon in the 50 to 70 pound class. 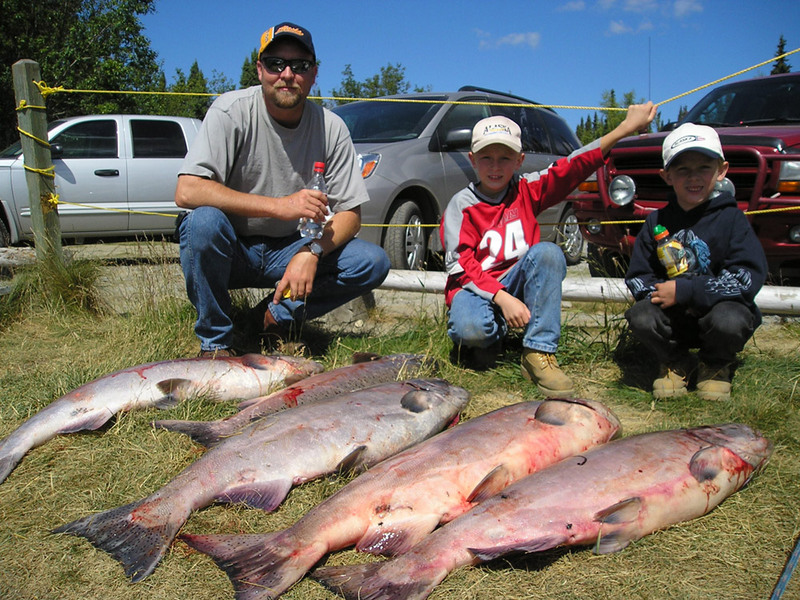 Some years we see this top number reach into the 80’s. 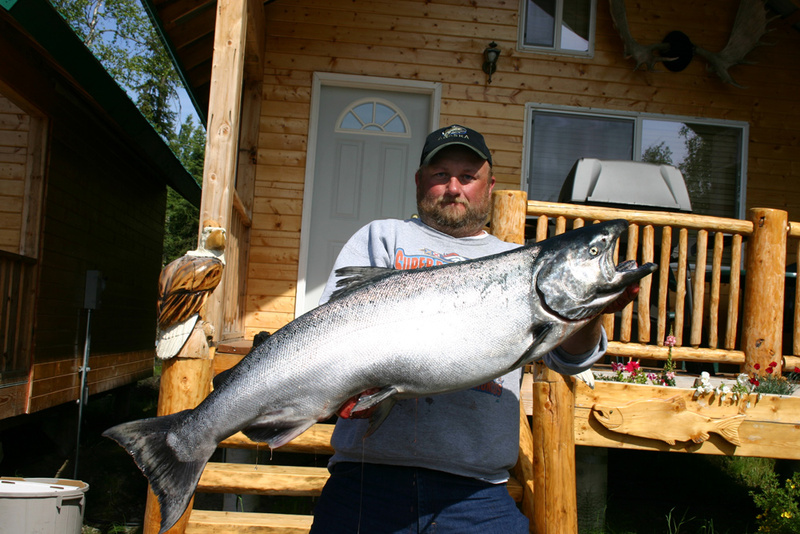 Book your trip today with one of our Kenai River King Salmon Fishing Guides to get your best chance at catching one of these hogs. 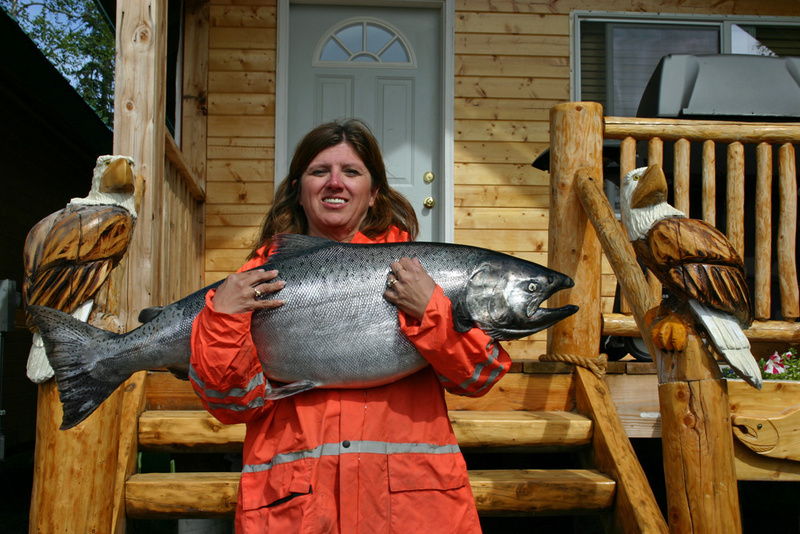 A point to note during this time the state has regulations to protect our first run escapement. 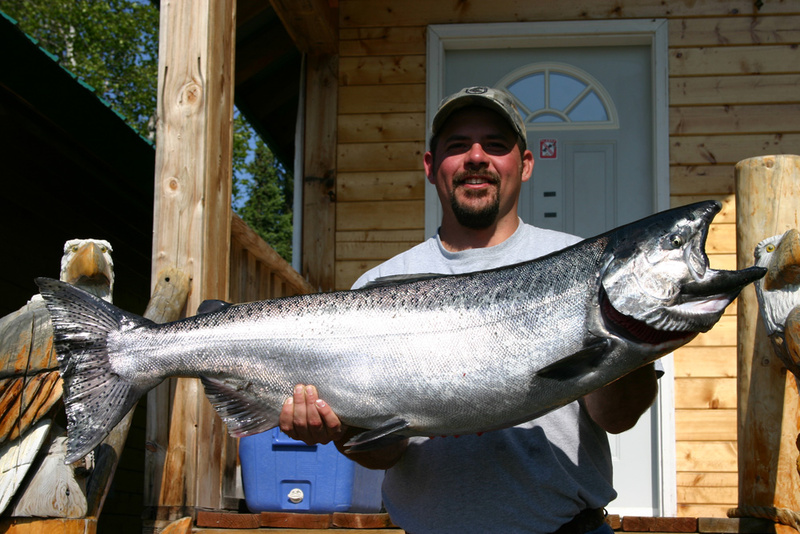 Kings can be kept up to 36”once they get their numbers to sustain the numbers for the future king runs they will take away regulations. 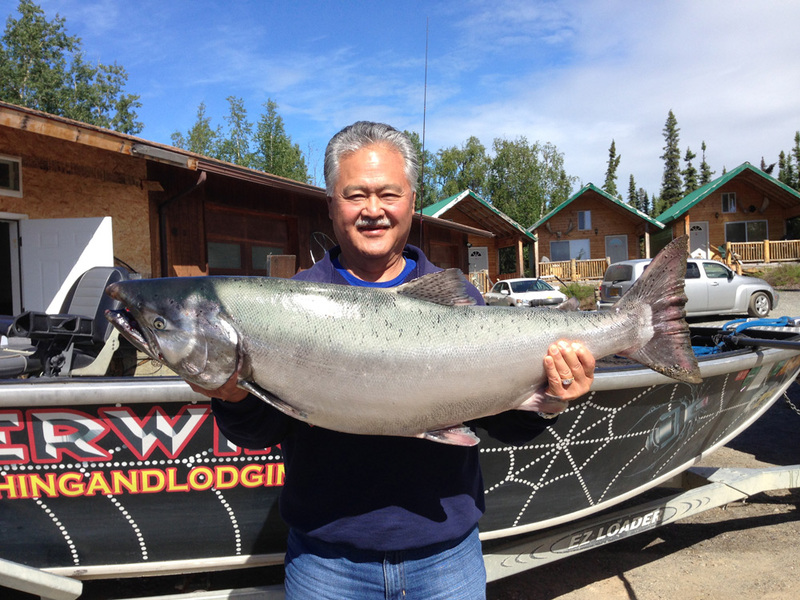 Second Run King Salmon on the Kenai River! 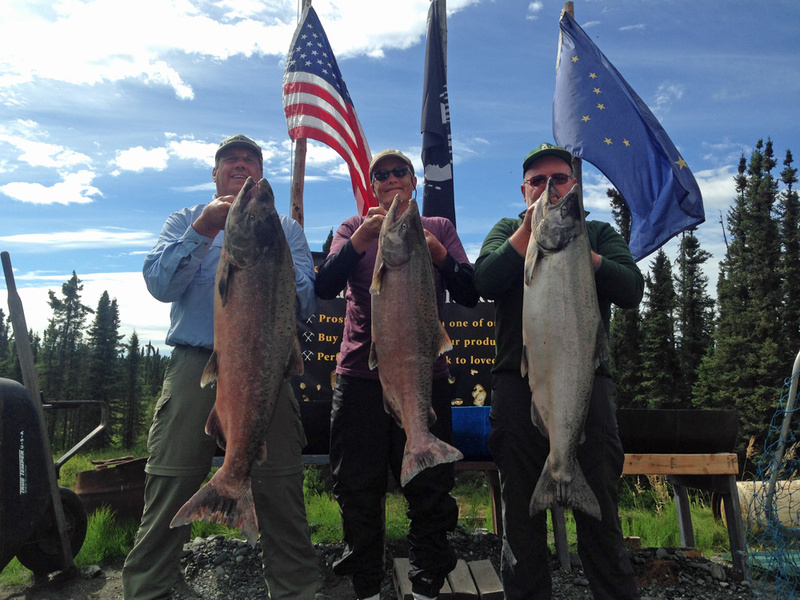 The second run of Kings on the Kenai starts on the 1st of July and continues throughout the month. 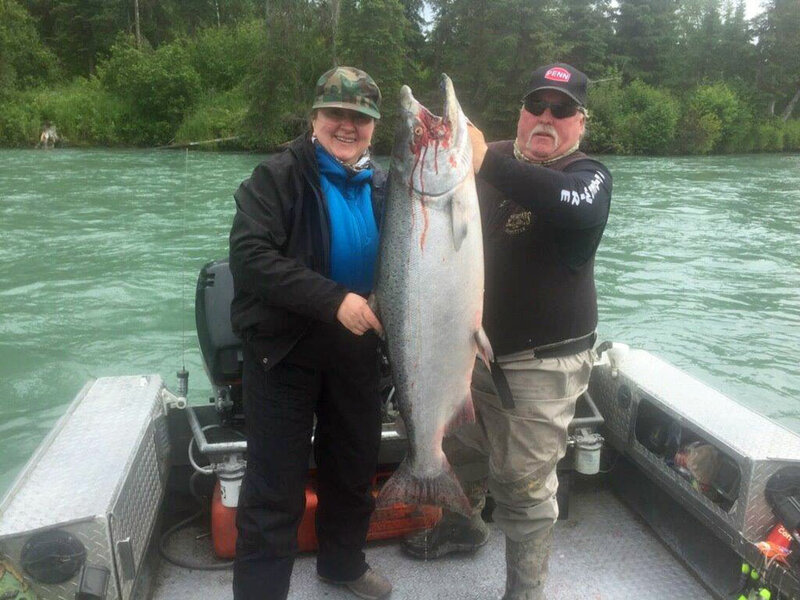 July is a good time to fish for trophy kings with our Kenai River king salmon fishing guides as the June regulations are removed and there is a strong return of 50+ pound Hogs. 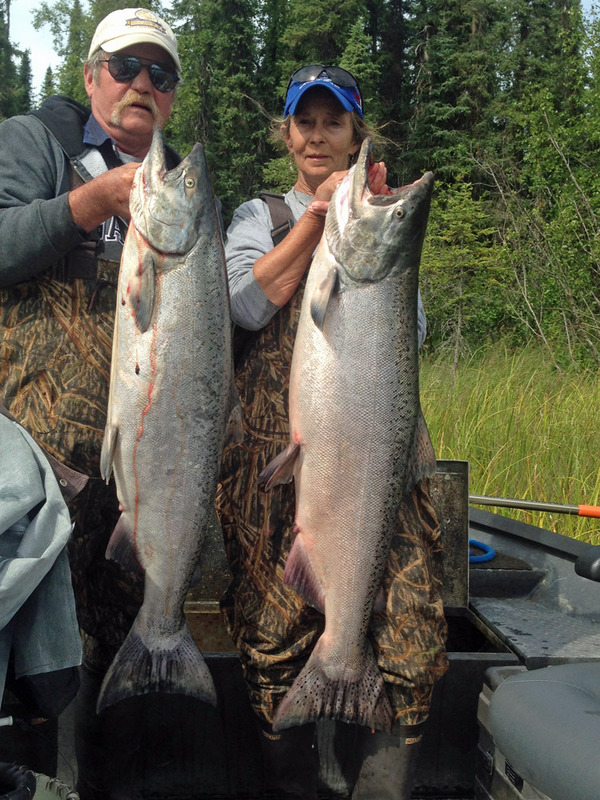 During July your chances of landing a Trophy King is pretty good. 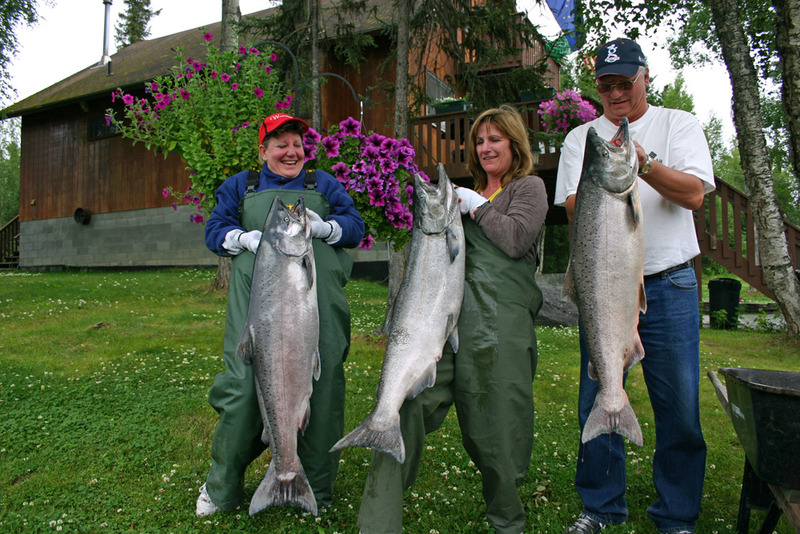 The other reason why guest come in July is they can book a combo kings and sockeye salmon. 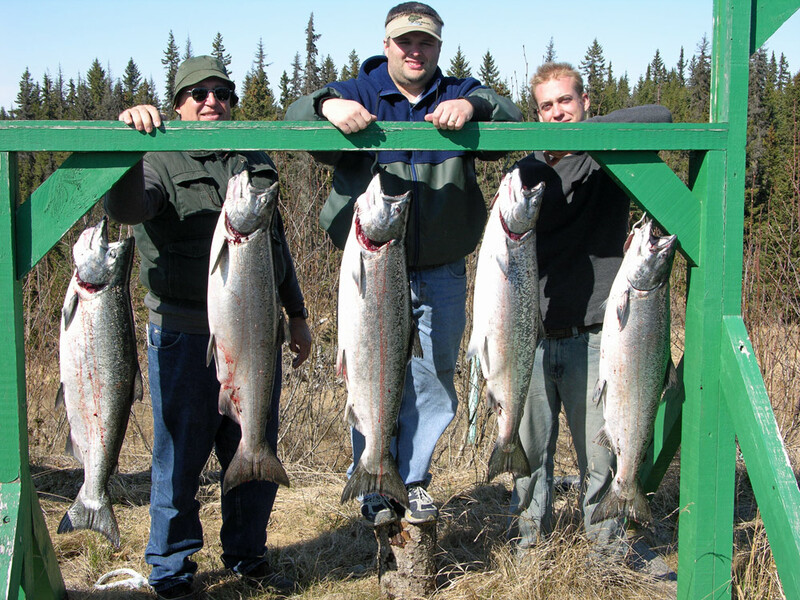 If you are local or if you’re going to be in Alaska and would like to join us for a couple Fun tournaments for Feeder Kings, one tournament is around March 18 and the other is my favorite a two day tournament around Oct the 10th. 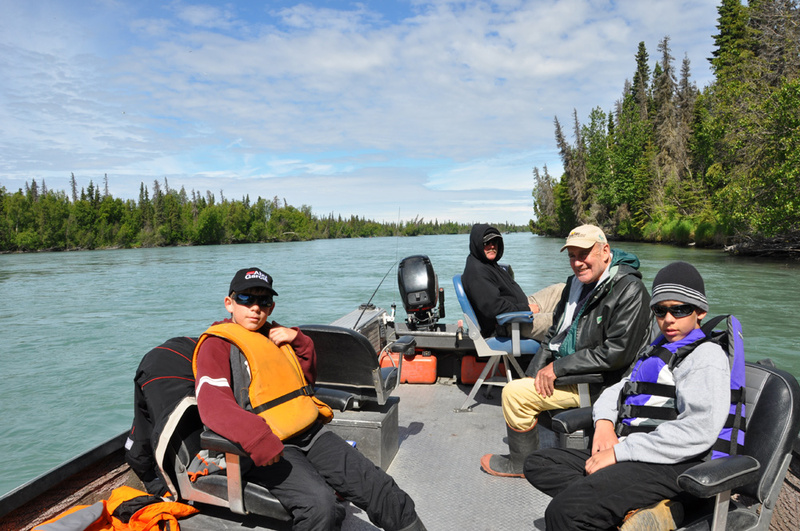 The boats book fast every year so better call us to get each years exact dates and get your group on a boat. 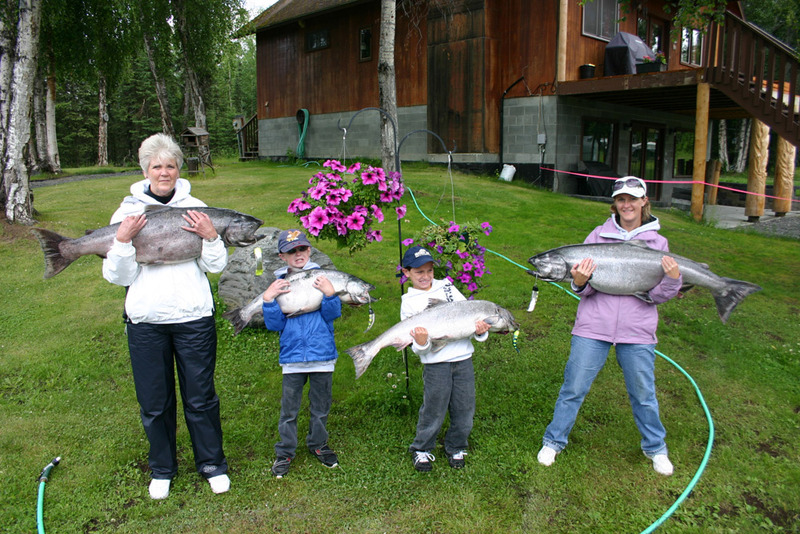 If you are coming in from other states the lodging book up just as fast we can line up everything for you. 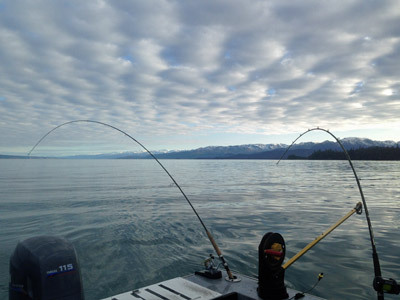 In May we start doing full day combos halibut and kings salmon. 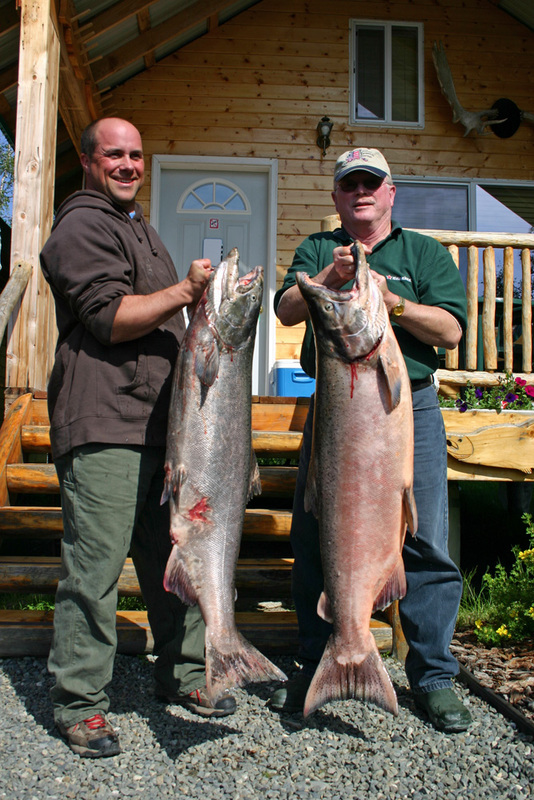 On most days we start by going out and getting our guest their two halibut one being over 28” and one being under 28”. 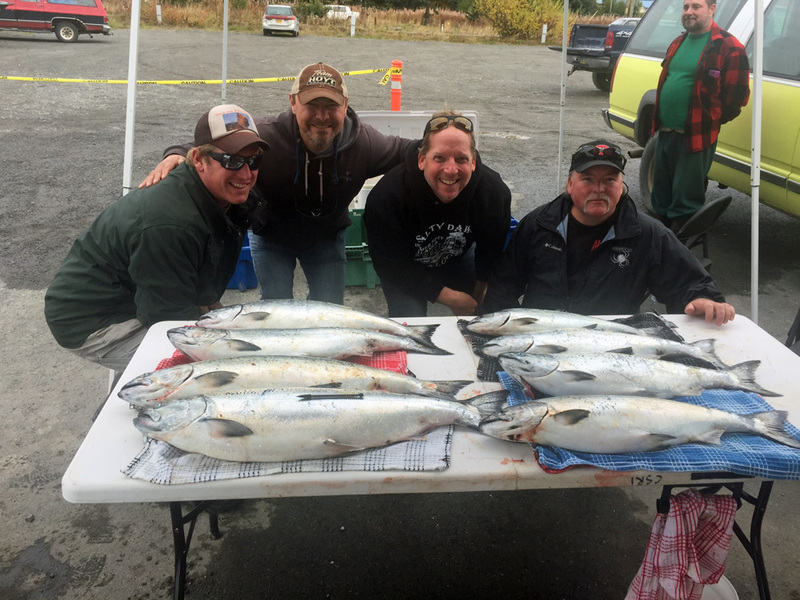 Once you get your halibut you will then come into the beach areas and troll for kings till you get your limits or till end of trip.